The real difference between a project that you do yourself and one that is professionally done is performance, speed and repair. If you are looking only at how much money you can save, what does that matter if what you’ve done isn’t right? A landscaping project is one place where this thought is made clear. The act of sodding, planting trees, and creating flower beds, among other things, is back breaking, but doable. The knowledge can be learned by reading several books and studying up on different schools of thought, but you don’t need to know codes, understand how to calculate soil compaction, or cubic water pressure. The real question is will your work be up to standards. 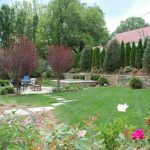 If your landscaping will be out in front where everyone can see it, you need to make sure that what you are doing will look right. Not that you would live with a backyard that looks shoddy either, but you get the idea. 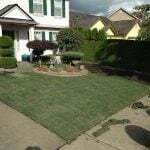 Sodding: If there is no grass in your yard, then sodding is something any homeowner can handle. Do a good deal of stretching first, both upper and lower body, because this is grueling work, and you will be sore after. Read up on how much water is needed once the sod has been rolled out and how to maintain it after. 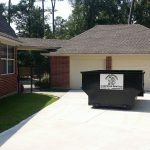 The trick is to find someone who has the yard you want and ask them what they did to get it. Planting Trees: Here again, this task is grueling but doable. The trick here is knowing the right time of year to plant a particular tree, how much water to use through the first week, if you should use ropes or wire to help it to stand, among other things. Research is key. So is lifting with your legs. 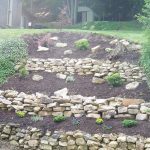 Planting Flowers, Shrubs & Other Plants: Digging holes and planting trees or ornamental shrubs is a chore that just takes time, but if you like digging around in the garden, then this is right up your alley. Employees at any nursery can tell you what soil combinations will work best and when to plant certain items. 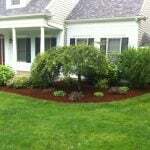 There are many landscaping projects that require much more work than the items listed above. 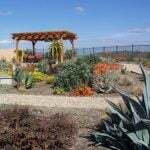 Some of these projects include laying brick patios, building ponds, fountains and butterfly gardens. These projects require not only muscle and time but construction knowledge and experience. You can learn anything from a book or watching a demo, but in real life problems occur. Parts don’t fit, something won’t cooperate, and knowing what to do when the book leaves something out or how to fix a problem when you have made a mistake, is where landscape professionals soar. These professionals have seen all the problems that can occur and know not only how to fix them but how to prevent them from happening altogether. 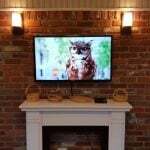 This fact is not to discourage you from trying your own hand at certain projects, but more to acquaint you with the real difference between DIY projects and professional projects. If you can live with mistakes, then charge ahead. Plus, with landscaping, much like a bad haircut, it will soon grow out. You should feel encouraged to do the smaller landscaping projects around your home. If you mess something up, just pull it out of the ground and try again. 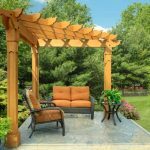 The larger projects that require a little more knowledge and skill are probably best left to the pros, but what you can do is watch them do the project and learn first hand exactly what goes into building a koi pond or a brick paver patio. 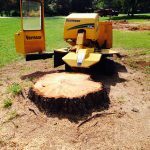 As you dig around more in your yard and figure some things out, sometime later you will know exactly how to go about the larger projects, and will have a good time planning and completing them.